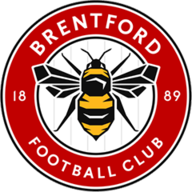 Brentford claimed local bragging rights in the west London Sky Bet Championship derby with an emphatic 3-0 rout of neighbours Fulham. A Sam Saunders goal after just five minutes gave the Bees a dream start and in-form hitman Scott Hogan grabbed a brace as the hosts ripped the visitors apart in a blistering first 45 minutes. Saunders broke the deadlock with a quality finish, lobbing the onrushing Fulham goalkeeper Marcus Bettinelli from the edge of the box. Hogan made it two 120 seconds later when he raced onto a slide-rule Konstantin Kerschbaumer through-ball to rifle a low drive into the far corner. Hogan, who has now scored five goals in 93 minutes of football following a near two-year lay-off with a knee injury, made it three for the hosts just before the break when he smashed home a close-range volley from debutant Tom Field's corner. 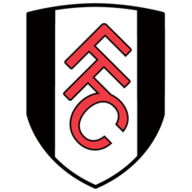 Fulham's best chance in a one-sided first half came when Ross McCormack beat the Bees offside trap and drew goalkeeper David Button only to see his curled effort bounce back off the upright. The £11million striker went close to reducing the arrears on the half-hour but his low free-kick clipped a defender's heel and bounced just wide of the post. Fulham's fans booed their side off at the break with chants of "you're not fit to wear the shirt" after a first half where Brentford played all the meaningful football. The visitors tried to edge their way back into the encounter but Brentford allowed them possession in the middle third, breaking it up too easily whenever the Cottagers threatened. After the interval it was better for the away team, who showed some fight for their fans, but it was always Brentford who looked the more likely to extend their lead. Austrian Kerschbaumer almost made it four two minutes after the restart but his low drive was well blocked by Bettinelli at his near post. When Fulham did breach a resolute Brentford back four they were wasteful in front of goal. Tom Cairney squandered a gilt-edged chance to give his side hope on the hour, chipping over when well placed. A minute later Moussa Dembele was played in after a rare moment of hesitation by the home defence, but he delayed his shot and Yoann Barbet made a superb late saving tackle to keep the clean sheet. Sergi Canos, on loan from Liverpool, tested Bettinelli with a low drive at the near post as Brentford looked to hit their arch rivals on the break. The goalkeeper had to be at his best with minutes remaining to pull off a breathtaking reflex save from Jack O'Connell's fierce, rising drive. At the other end Button proved anything Bettinelli could do he could do better with a reflex stop to tip McCormack's dipping free-kick over the bar. Fulham's afternoon could have gone from bad to worse in the dying minutes when Canos powered through and clearly had his shirt tugged by Fernando Amorebieta in the box, but referee Mark Haywood waved away the Brentford protests.